Of all the choices you make planning your wedding, choosing your veil length and type may seem minor (and it likely could be! ), but potentially confusing. Veil length descriptions involve some jargon and names that don’t quite seem obvious, like what is a Juliet Cap? What’s the difference between Waltz and Fingertip? Not necessarily a veil, this is normally a headpiece, either standalone or attached to a blusher veil. 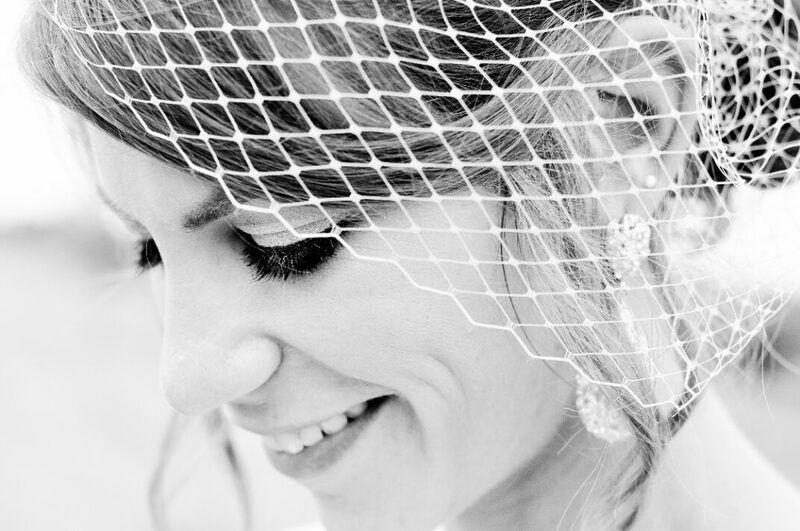 A playful length that fulfills a need for a traditional veil without getting in the way. Great with a short dress! This is a great veil to highlight any detailing at your waist, and great for any height, while still covering your shoulders. 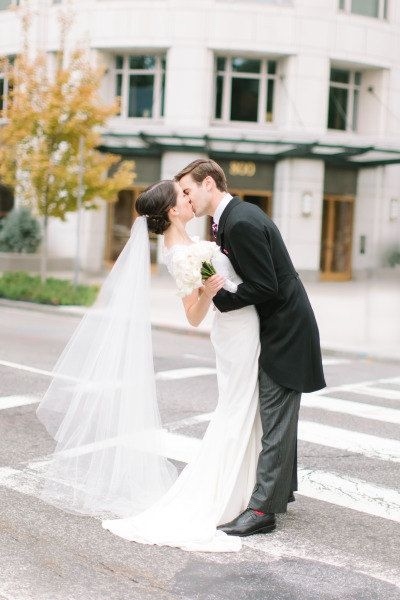 The perfect length for a bride who wants a longer veil that is still minimal. Looks great with a sleek chignon! 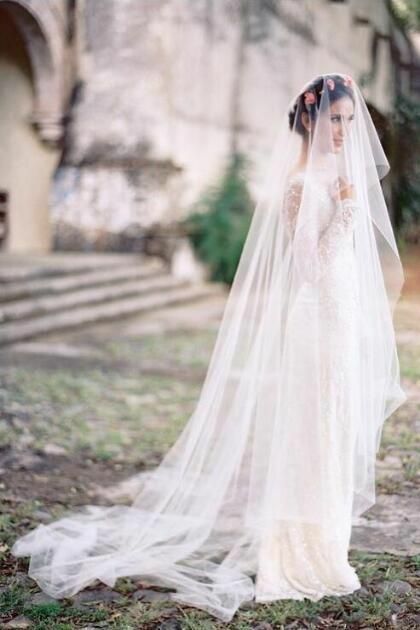 Also known as ballet veils, a waltz-length veil hits somewhere between your fingertips and the floor. Perfect length for windswept photos and compatible with almost any hairstyle. This length is a little longer than floor length, adding drama as your walk down the aisle. 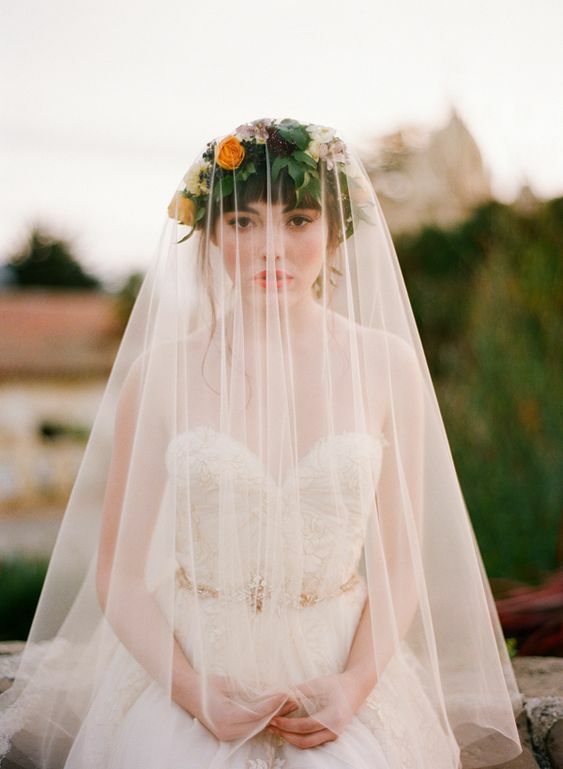 This is a good option for those who want a longer veil, but don’t want to commit to a Cathedral length veil. The most formal of all veils, this is the longest and typically the most embellished either with lace or other details. 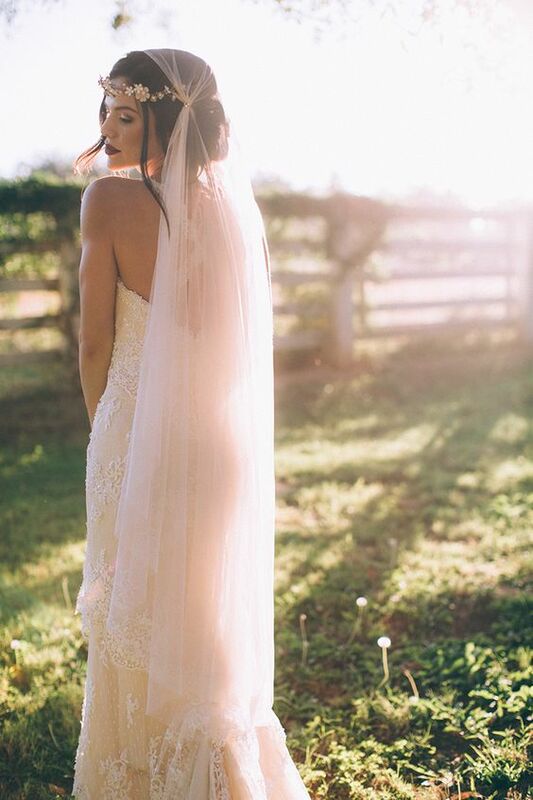 A beautiful statement, but keep in mind, this is a harder to move in veil so you may want a shorter headpiece for your reception. 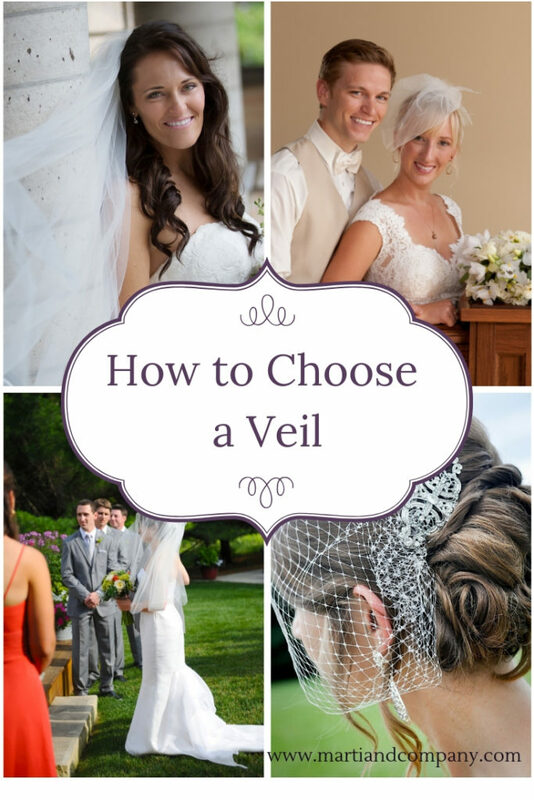 These next three veils are newer styles that we’ve seen popping up over the year. 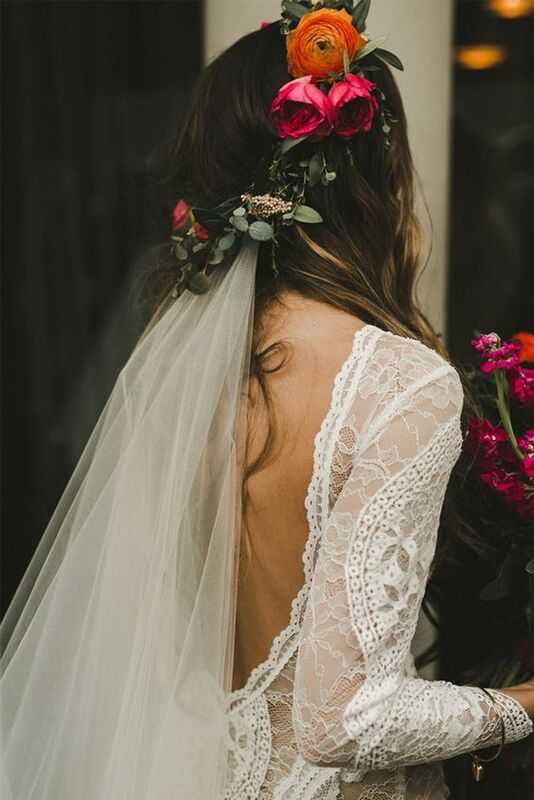 Not for the most traditional bride, however, these styles are great for a modern bohemian bride or a bride with an eclectic style. Typically a veil draped over a flower crown, or a standalone flower crown. The crown can be made out of artificial flowers, becoming a keepsake for the rest of your life. 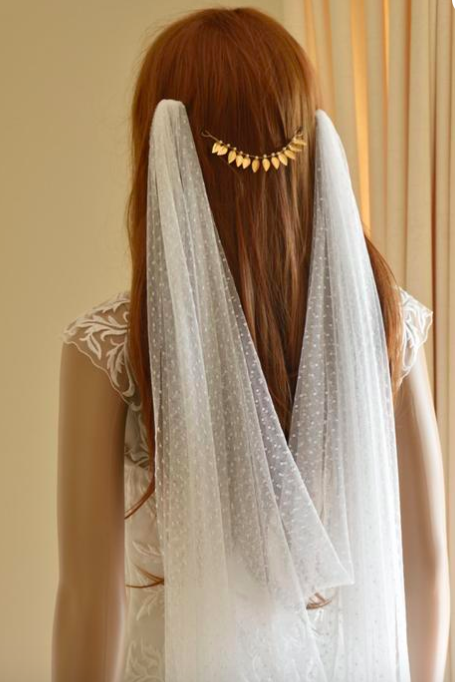 Perfect for brides who want their hair down, and want a veil with increased ease of wear from its two clips. Perfectly old school and great for a simple silk or lace dress. 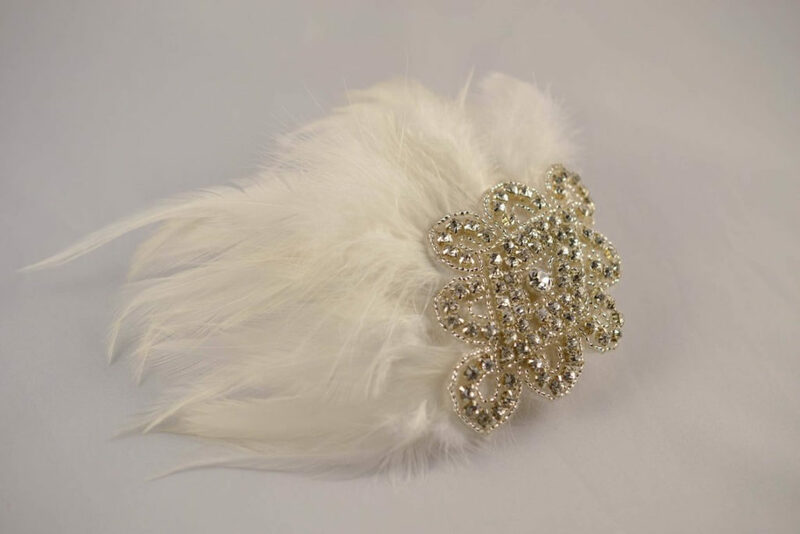 Reminiscent of the 1920’s, this is great option for a vintage bride.